Have You Experienced Scene75s Virtual Reality Room Yet? 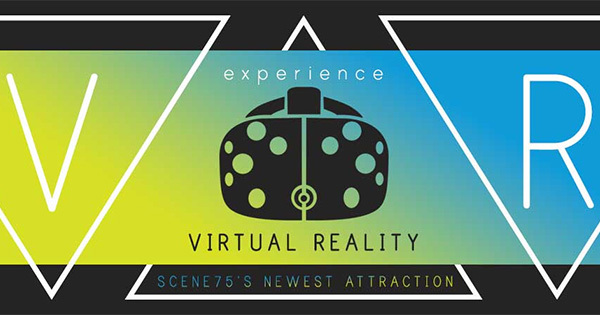 Have You Experienced Scene75's Virtual Reality Room Yet? Scene75 Dayton opened Ohio's first virtual reality room a few weeks ago and the guests that have tried the new attraction have LOVED it! Virtual Reality at Scene75 is truly immersive and allows you to feel like you are actually inside of the game. It is such a unique experience that everyone can enjoy the games and visual experiences, not just gamers or techies. Each station is equipped with an HTC Vive headset, a controller for each hand, and a top-of-the-line gaming PC. As the player moves around the 9ft x 12ft gaming area sensors mounted above the area track their movements. Scene75 Dayton offers two different time sessions: A 20-minute gameplay session for $12 and a 60-minute gameplay session for $24. Currently, virtual reality systems are out of the reach of most consumers due to their high price tags and technical skill requirements. This makes the new attraction at Scene75 Dayton one of the few locations in the country that guests have the opportunity to walk in and experience virtual reality without having to own a system. Your heart is racing, you know its not real but, for that split second, you forget. Adrenaline is pumping through your veins. You quickly spin around, pulling the trigger, "pop, pop, pop". The zombie crumbles to the ground just feet away from you. Reality begins to set in as you take off the headset... THAT was awesome! Scene75 Entertainment Center - Dayton is extremely excited about the guest reactions to this new attraction so far and we look forward to having you experience it! Scene75 Entertainment Center is the largest indoor entertainment center in the country and offers affordable FUN for everyone.